Detox and refine skin with the unique ingredients and properties found in the De-Fine Collection. 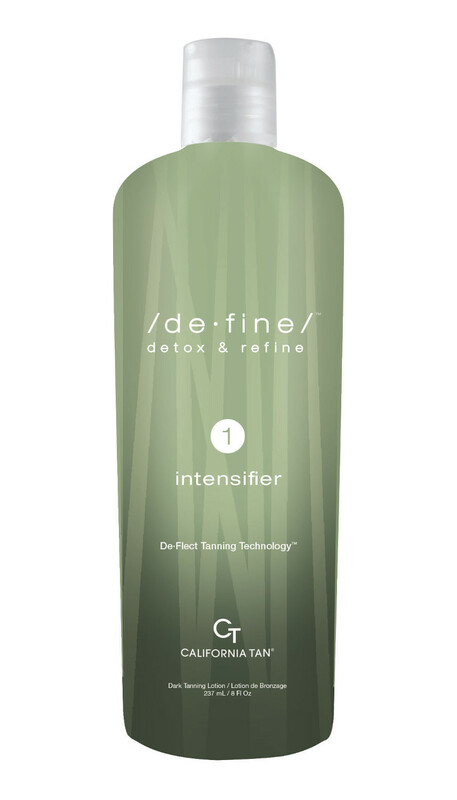 Formulated to purify and cleanse skin while maximizing tanning results with De-Flect Tanning Technology. Optimize your tan by maximizing the tanning process with DeFlect Tanning Technology De-fine Technology helps lead to perfected pores for a more beautiful, longer-lasting dark tan Detox and refine skin with the purifying properties found Seaweed, Green Tea and Arugula, while Proteins help rejuvenate Accelerate and build the ultimate golden color with Vitatan.